I have made several desserts with this tasty spread, and for the foodies out there, you may know that Giada DeLaurentiis is the primary writer of most recipes that include Nutella. 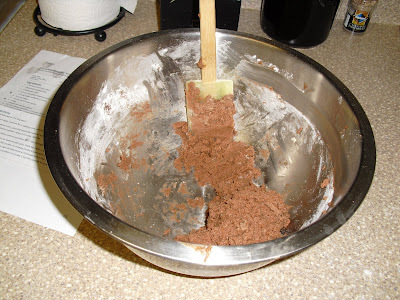 In another medium bowl, place the chocolate hazelnut spread, butter, and both sugars. Using a hand mixer, cream the ingredients together, about 3 minutes. Add the egg and vanilla and blend until incorporated. Stir in the dry ingredients, just until incorporated. Shape the cookie dough into walnut-sized balls. 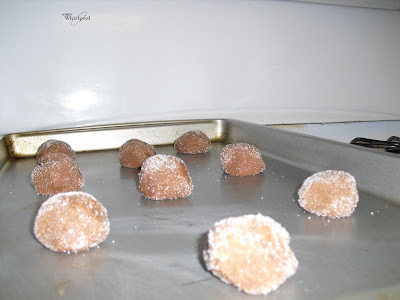 Rolls the balls in the sugar, pressing to adhere. Place the cookies on a heavy cookie sheet about 4 inches apart. Bake for 8 minutes. Remove the cookies from the oven. 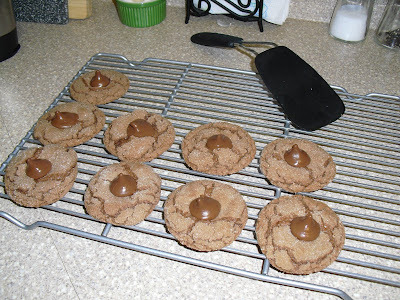 Quickly place a chocolate kiss in the middle of each cookie. Return the cookies to the oven and bake for another three minutes. Cool the cookies on a wire rack. Heaven. You'll want to live on my desert island too. Just bring your own Chapstick or gloss. My pleasure! I think you and the fam will enjoy!